"Excellent, professional quality, company and service." 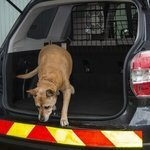 Excellent, professional quality, company and service. Detailed comments under separate cover. 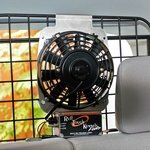 The fan itself is excellent. Having two speeds is a very nice feature! 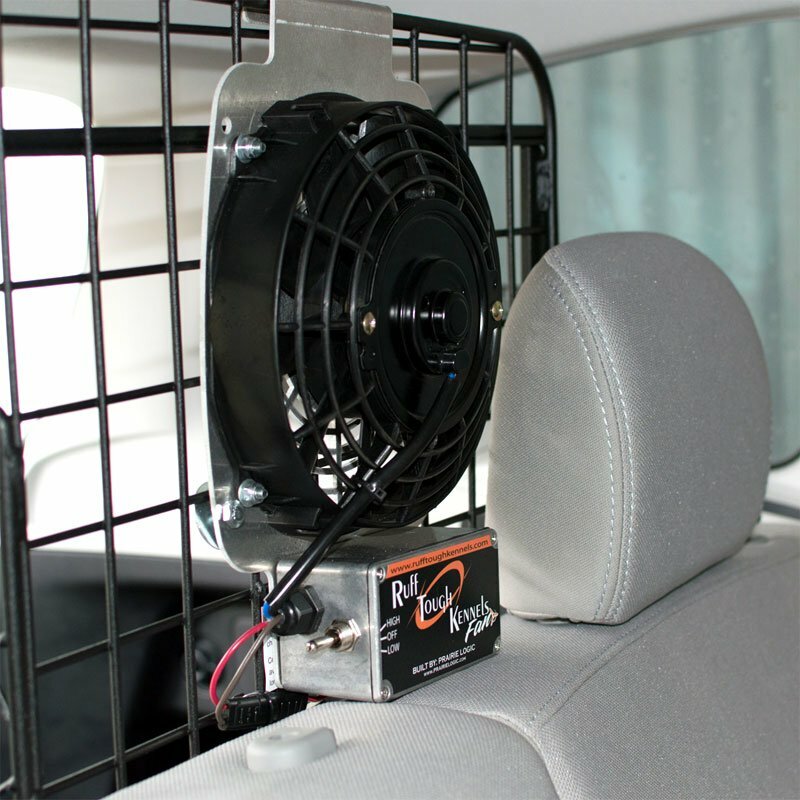 Having an electrical cord that attaches at the crate door is very convenient. 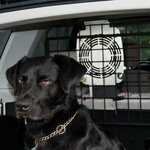 I would have given the fan five stars if the screws and washers that were included in the installation kit were the correct size to fit the door of the Rough Tough kennel. About a month after use it started producing a high pitched squeal. 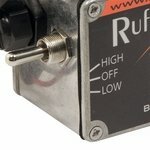 It does the job but does create some unessesary noise. 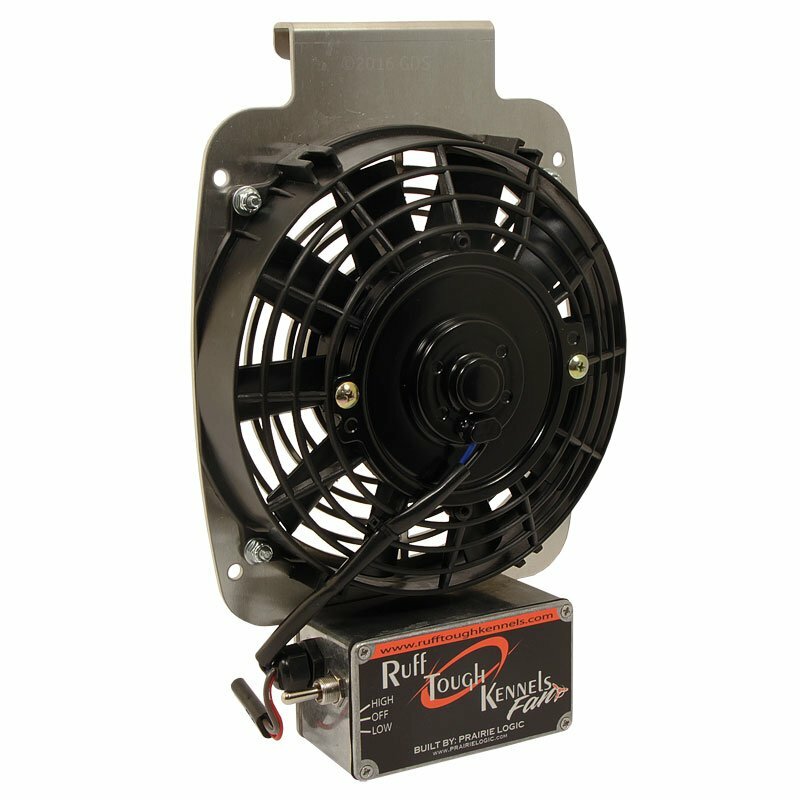 Two speeds for max comfort or minimum power draw. 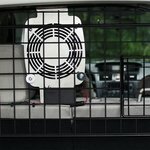 The heavy-duty Ruff Land Dog Crate Fan gives you two fan speeds at the flip of a switch for maximum cooling for your dog, or for minimal power draw to conserve your battery. Field tested to withstand weather and vehicle vibration. 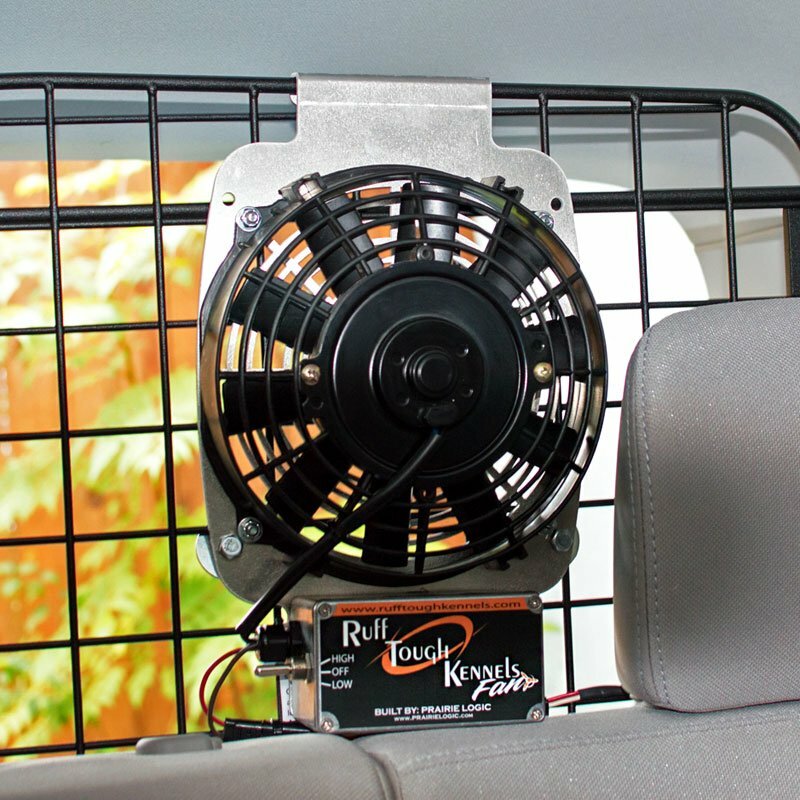 Ruff Land Kennel Fans connect to the 12-volt cigarette lighter plug in your vehicle, and can easily be mounted on a wide variety of kennel doors and surfaces. Mounting hardware is included. 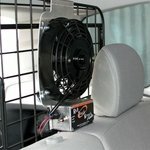 The LOW setting draws only 1.6 amps, so you can leave your fan on even when your vehicle is not without worry. 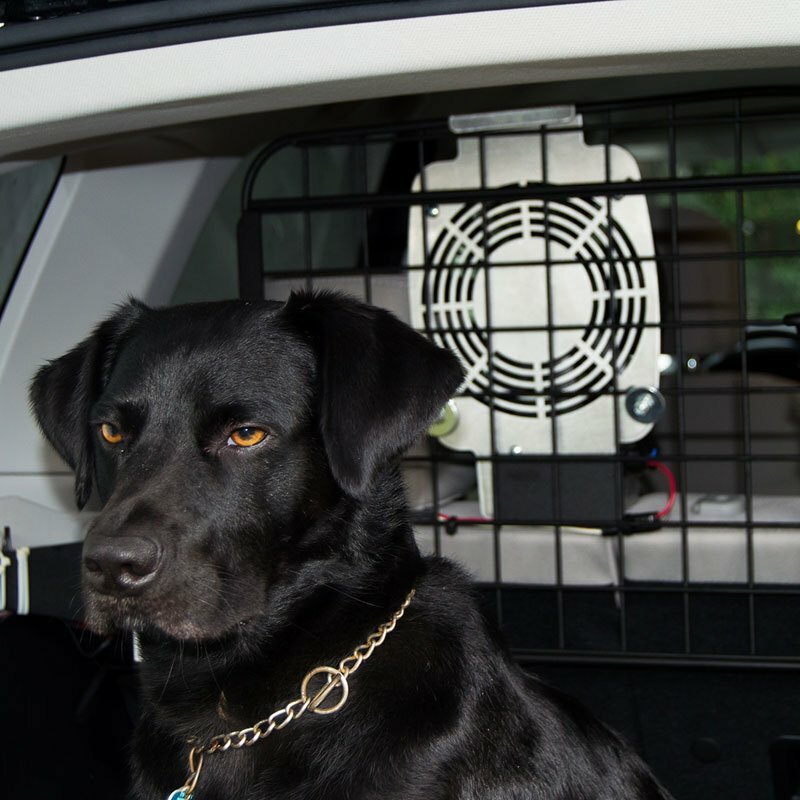 Dogs find the white noise from the fan very soothing, and the continuous air flow through the kennel cuts down on flies and mosquitoes. Includes approx. 9 1/2 ft. cigarette lighter vehicle power adapter. 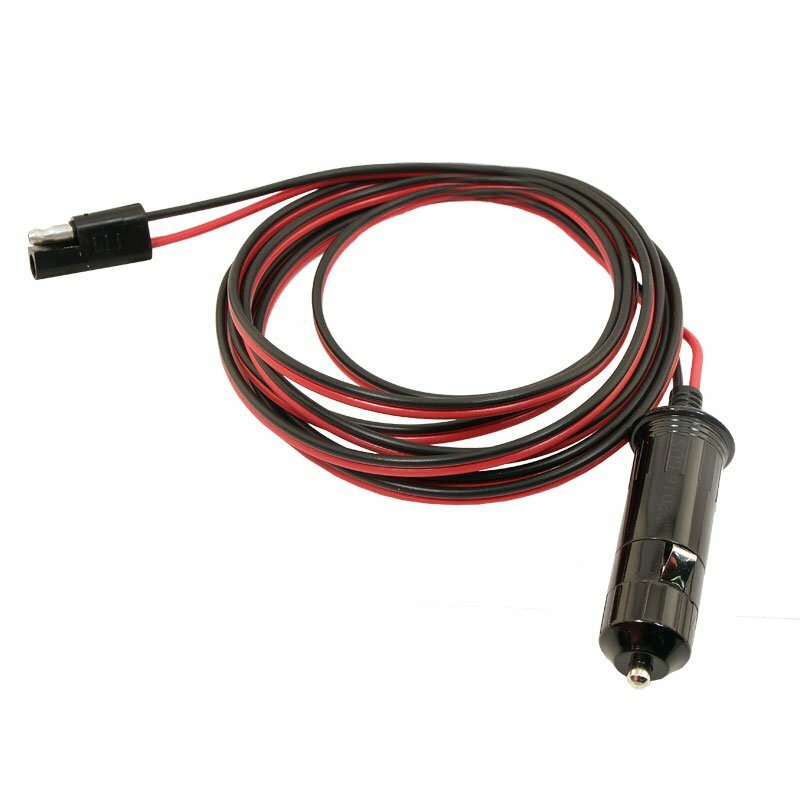 A 7-Pin Power Cable with 4-Pin Trailer Connector is available separately. 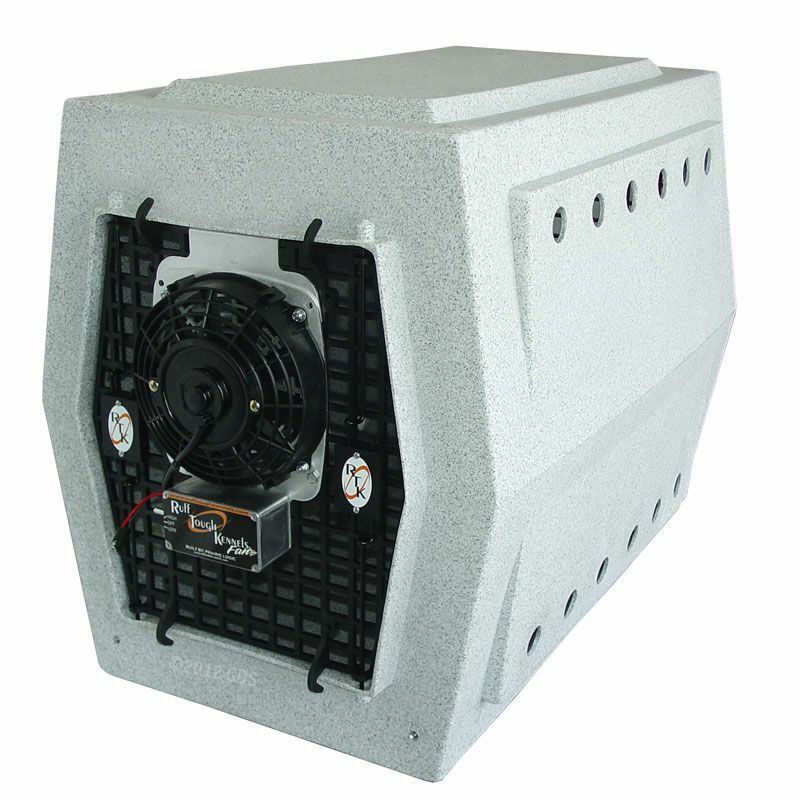 It has a 1-year manufacturer warranty. 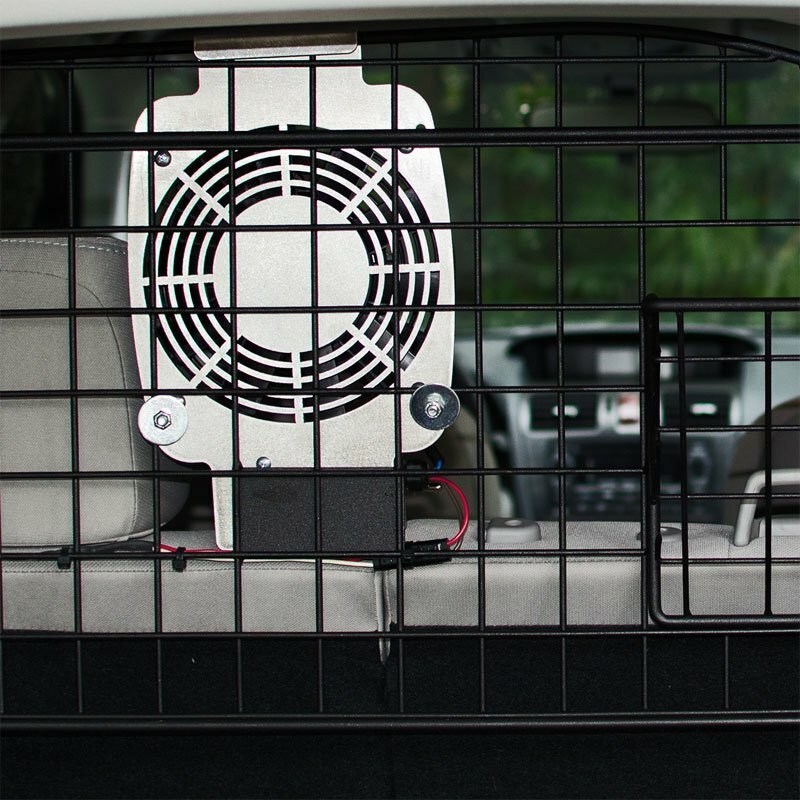 Hang the fan on the outside of the door with the aluminum plate toward your dog. 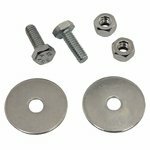 Rigid mounting kit included to be used with hanging bracket. Place head of fastener and washer on pet side. Place lock nut on outside of fan plate and snug. Illustrations included on the downloadable instructions below.